London accommodation in Soho provides a great base for tourists keen to see and do all that there is to do in London! What's more, this is a popular tourist area, which means there is plenty of Soho accommodation to choose from. While staying in the London neighbourhood there are numerous bars, clubs and restaurants scattered around the winding streets of the area. This is also a great place to catch a West End show, as most of London's theatres are in this area. You will find old favourites such as Les Miserables and the Phantom of the Opera are right on the doorstep of your hotel, as well as new shows such as Lloyd Webber's latest, Love Never Dies. Shoppers will also be relieved to discover that Soho accommodation is a short walk away from the high street stores of Covent Garden and Oxford Street, so you can easily collapse and rest your feet after a long day's shopping. 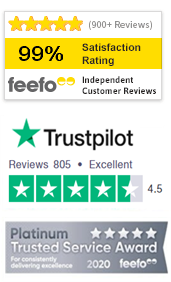 When you select the London accommodation in Soho you want, make sure you check the independent reviews from past guests on TravelStay to help you make the right choice ahead of your stay! Enjoy breathtaking views of the London skyline from your own private balcony at High Holborn Apartments Top Floor! Covent Garden, British Museum and Holborn Tube Station are all close by. Facilities include flat screen TV, private bathroom and a kitchen. Staunton Hotel London is one such cheap London hotel in Soho that provides a great location for tourists. From just £62.50 per person this budget hotel is minutes from the shops. Enjoy the privacy and luxury of your own apartment overlooking London's skyline and with easy access to Oxford Street and the whole of the West End! You'll have a fully equipped kitchen and comfortable lounge as well as one large and one small bedroom. Stay right on Drury Lane in the heart of Covent Garden, central London, and book yourself into the first rate self catering London studios and apartments at Grosvenor House Studios TopFloor! You'll have your own kitchenette and be surrounded by amazing attractions including Covent Garden Market, West End theatres, Leicester Square and Piccadilly Circus.